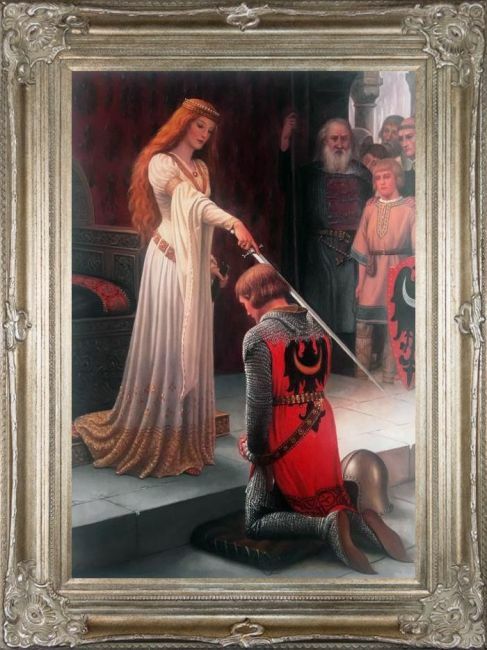 This hand-painted reproduction of "The Accolade" by Edmund Leighton is the perfect piece of art for fans of classic and historical paintings. 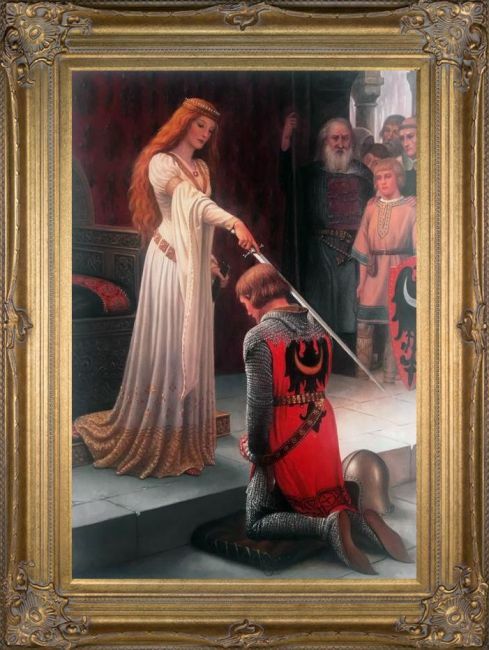 Originally created in 1901, this painting captures the chivalry and majesty of another era. Often cited as one of Leighton's masterpieces, "The Accolade" is one of the most recognizable paintings from this period. 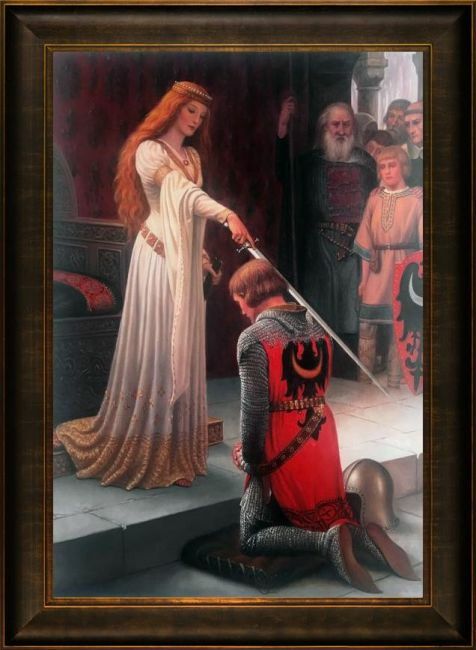 This oil painting reproduction will add a sophisticated and stately look to any space. 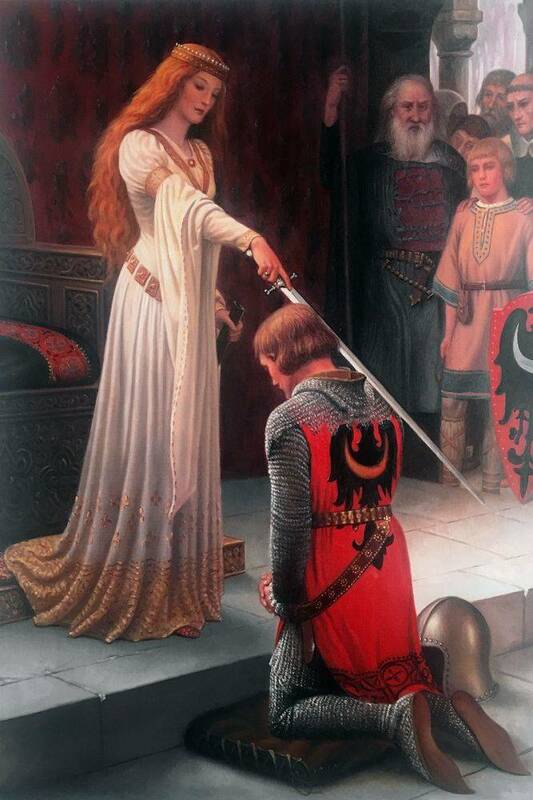 Color Palette for The Accolade, 1901 is empty.